Now several of our most famous homes on wheels are available for overnight guests. Experience a slice of the tiny life in the heart of North Carolina on the Perch & Nest farm located just minutes from Downtown Winston Salem. Note: While these beautiful homes are on the campus of Perch & Nest, nightly rentals do not include tiny house consultations, home tours, and/or photographic or video opportunities of Perch & Nest properties. However, we will try our best to accommodate build and DIY consult requests during your stay. Contact us for scheduling requests or simply send a note with your reservation. Reserve a nights stay in “Roost18”, the even tinier version of our famous “Roost36”. This mini farmhouse sleeps four and packs a whole lot of vintage charm into just 18′. Roost18 is privately owned and managed but sits alongside other tiny’s at the Perch & Nest farm. 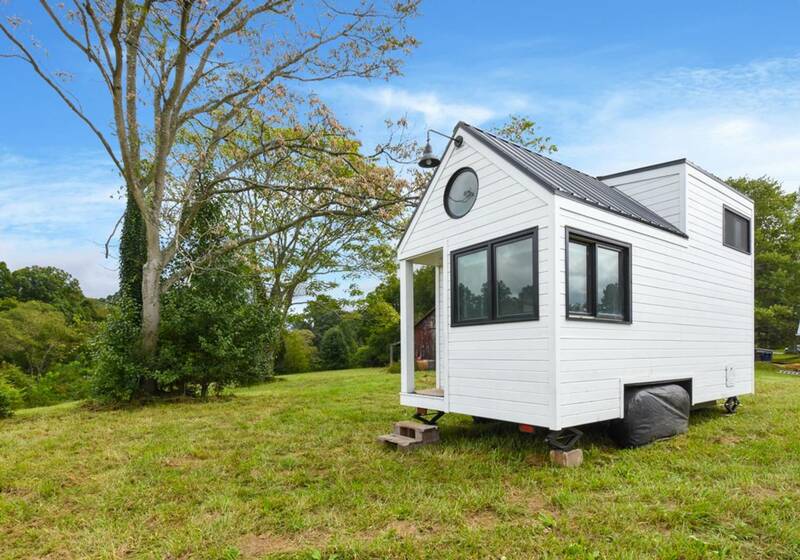 In addition to breathtaking scenery and stunning treetop views in close proximity to Downtown Winston Salem, the tiny curious will enjoy trying out the Kimberly woodstove, composting toilet, propane cooking, and repurposed stock tank tub. Sleeps up to 4 guests. Reserve a nights stay in our new (2018) Roost26. In addition to being part of the Perch & Nest farm, this modern industrial tiny built for one (or two) features induction cooking, drawer refrigeration, an incinerating toilet, and glass shower with solar vented skylight. Enjoy the quiet scenery of the farm while being only minutes away from all that is Downtown Winston Salem. Sleeps 2 guests. 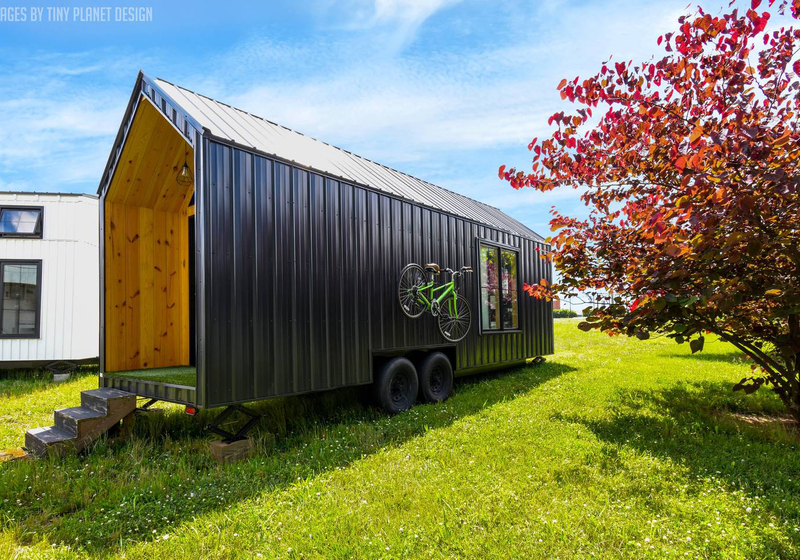 This famous farmhouse on wheels is now available for overnight guests! Experience the design and features that made this home so notable including non-toxic construction, 3 bedrooms, a screened porch, and decor to die for. This tiny now rests on the farm pasture with tree top views and gorgeous sunsets but is also only minutes away from Downtown Winston Salem. Sleeps up to 4 guests. Enjoy another one of our favorite tiny flavors, glamping! This restored vintage Airstream accommodations include a king size bed, full kitchen, and full bathroom. Outdoor seating and open pasture make for wonderful evenings under the stars or morning yoga as the sun rises. Panoramic views include woodlands and open pasture. Sleeps up to 2 guests.